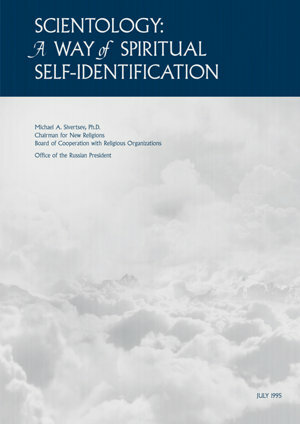 Scientology: A Way of Spiritual Self-Identification - Michael A. Sivertsev, Ph.D.
Michael A. Sivertsev, Ph.D., served in the expert committee on international matters of the Federation Council of the Russian Federation. He held academic positions at the Institute of National Economy, Institute of the USA and Canada at the Russian Academy of Sciences, and Moscow Jewish University. He authored numerous articles and books, and was an active participant in interfaith dialogue in Russia, serving as chairman of the Moscow Partnership on Spiritual Dialogue and chairman for New Religions of the Board of Cooperation with Religious Organizations of the Office of the Russian President.